Ontario Water Well is Canada’s most experienced Hydro Fracturing company. 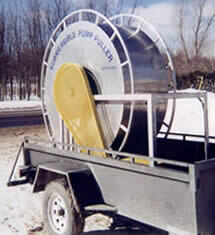 We have been Hydro Fracturing water wells for over 18 years. In order to offer the guarantee that “we find water or you don’t pay” we have to be absolutely confident in the equipment that we use. We can offer this guarantee because we manufacture our own equipment. From the water tanks to the pumps from the cranes to the pump pullers we have confidence in our ability to produce results because we have confidence in the quality of our equipment. 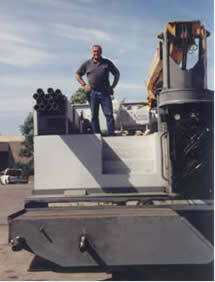 Our Hydro Fracturing equipment is manufactured by us to higher specifications than any other company in the industry. That is why Ontario Water Well has been the first choice of Governments and corporations in Canada for difficult situations.